"Students connect to various texts that show how to build and maintain relationships within First Nations, Métis, and Inuit communities. ", but what exactly should they be able to do? 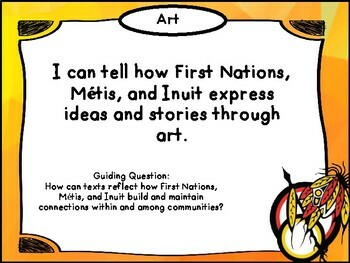 How can we weave FNMI into our day? 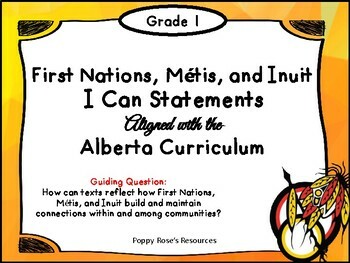 This resource contains the I can statements that will help you focus your teaching and make sure you are weaving FNMI into your class. Each poster is labeled for Math, Science, Social Studies, Art, Music, Drama, and Wellness Education. The guiding question is also included on all posters. Simply display the I Can Statement when you are working on them for all stakeholders to see.